Elia has a large and varied range of Contemporary Cutlery. All of our patterns have 8 core items of; Dessert Fork, Dessert Knife, Desset Spoon, Tea Spoon, Soup Spoon, Table Fork, Table Knife and Table Spoon. Some patterns benefit from accessory items such as fish cutlery and serving items. 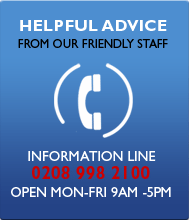 If you have any further information about any of our ranges, please do not hesitate to contact us through our enquiry page. Aria has simplistic good looks, with long elegant handles and fine angled lines. Handles taper gently to a smooth, slightly upturned point. Mirror finish. Highly polished to a brilliant mirror finish. Delicate sandblasted detail and Hollow Handle knives provide comfort in the hand. A stunning, ergonomic pattern, designed by Nick Holland. Angular design with clean cut lines and bevelled edges. Luxurious elegance for an opulent table. Featuring hollow handled design. Soft, fluted lines to the handle in durable 18/10 stainless steel. Elegant design with subtle curved details. Includes hollow handled knives. Sleek modern design featuring gentle curves will complement all table settings. Slender with a refined curve. Simple yet striking looks for a stylish tabletop. Subtle matt satin and gleaming shine, creating an elegant and timeless fusion. Generously curved, bold design for any modern table setting. Attractive two-tone effect with a matt satin finish to the handle. Heavy gauge to create well-balanced pieces with a contemporary slimline form. Fully forged, with a slim-line handle in an ultra modern hexagonal design. Attractive curved handles and fine angled lines add style to casual or formal dining. Sophisticated contemporary style and 2-piece hollow handled knives. Thick gauge and curved handles with standard or upright standing knives. Subtle curves, slimline handles and a stunning mirror finish. A striking, angular design with a gleaming mirror finish. Bold, geometric design, with strong angled lines with smooth curves. Nick Holland design with extra heavy gauge, derived from the Jester design. Simple elegance with softly shaped handles gently bowing outwards. Identical to Maypole but with a soft satin effect to the handle. The cylindrical handles are encircled with a delicate hand crafted band detail. Subtle and generously shaped curves. A versatile range with 23 pieces. Nick Holland design. Sleek with a brilliant streamlined look for the modern table. Contemporary cutlery at its finest. Expertly polished to a smooth mirror finish. A streamlined, modern pattern, polished to a mirror finish. An elegant and smooth pattern with a refined matte finish to the handle. Timelessly elegant handles inspired by the shape of a traditional chopstick. Beautifully curved in a heavy gauge. Well balanced and comfortable to hold. A satin finished cutlery with hollow handles and elegant lines. Simplistic elegance in a generous gauge with a highly polished shine. Heavy guage and treated to a satin finish with gently tapered and curved handles. Classic pattern with beautifully curved and featuring a fine ribbon-like detail. Nick Holland design, matt satin version of the stylish Longbeach cutlery. Based on the Sirocco design, but with a memorable subtle satin finish. Sleek look with a refined matte satin finish to the handle. 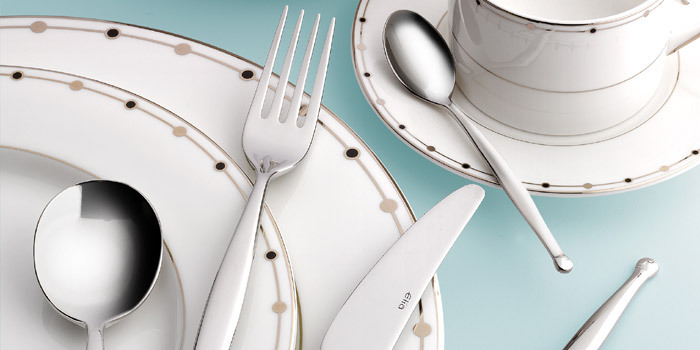 Delicate, curved cutlery with a mirror shine. Modern design with a distinct complete satin finish, Stylish and mark-resistant. Fully forged in a heavy-gauge that provides an immediate feeling of quality. Contemporary design with simple, striking looks. Curved design, with smooth satin handles and contrasting brilliant mirror shine. Oval handle tapering to a raised double ring with sandblasted finish. Nick Holland design with a distinctive dot pattern for a sure grip. Heavyweight solid handle knives which can stand upright or be laid flat. Slim, gently curved design and highly polished to a smooth mirror finish.